And the winners of the 2018 McWane EHS Awards are . . .
Clow Canada has a very high level of management commitment to achieving environmental performance. This has resulted in outstanding environmental performance that has been recognized by industry peers and provincial government officials. M&H Valve’s outstanding environmental performance is a product of the high level of management commitment coupled with the facility-wide adoption of the McWane Way principles and values. MTE-Cemcogas has made significant strides in environmental performance by focusing attention and resources on environmental compliance and adoption of the McWane EMS. 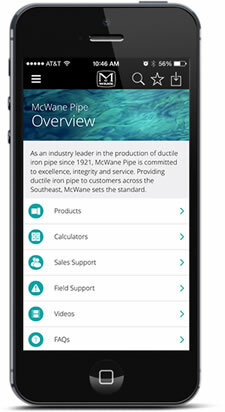 McWane Ductile (Coshocton, Ohio) for significantly expanding the use of Electronic Inspections Forms to perform and document EHS inspections. Tyler Xianxian (Xianxian, China) for being designated as an “A-Foundry” by the Environmental Protection Bureau in recognition of their state-of-the-art pollution controls. *This is a new award category introduced in 2018 and is presented to recognize a noteworthy achievement in furtherance of McWane’s industry leading EHS performance. Tyler Coupling is a leader in management commitment for safety along with extensive employee involvement in the safety committee and safety programs. The combination of management commitment and employee involvement is the foundation for a strong overall program. This year’s Top Quartile winners are setting an inspiring example of the McWane Way in action by achieving health and safety injury/illness rates in the first quartile for their industry as reported by the 2017 Bureau of Labor & Statistics.